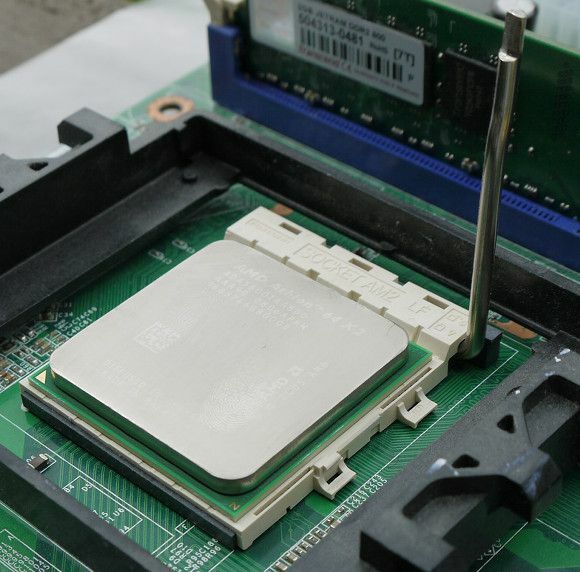 The processor remains one of the most important components in a modern computer. Upgrading it can provide significant benefits in certain games and applications, particularly if you are switching from a dual-core or quad-core model, or upgrading from some older processor architecture. It’s also not that complicated a project for a geek to tackle, but it can seem daunting. You have to handle some of the most important components in your system, components that may be worth some money. Here’s how to install or replace your computer’s processor the right way. This is not a hardware buying guide, so I am going to assume you’ve selected a processor and completed the basic research required to know if it will fit in the motherboard you already own or are planning to buy. However, there is one other thing you should check that many people forget about the first time through – BIOS compatibility. You might run into this issue if you are installing a new processor in an older motherboard. 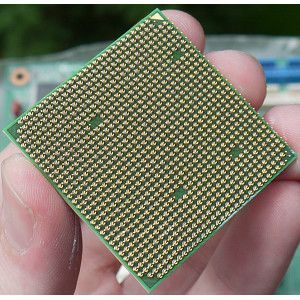 Some older motherboards won’t recognize the newest processors even though the socket is physically compatible. Upgrading your BIOS to a new version is (usually) the fix. 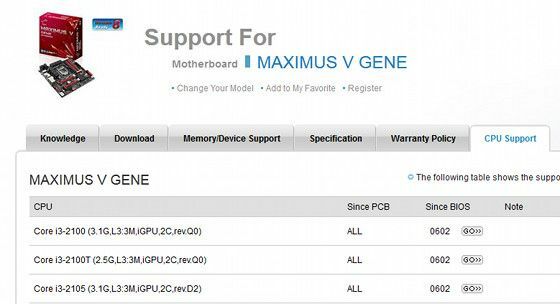 Before installing any processor, check the manufacturer support page for your motherboard. You should be able to find a list of compatible processors and determine if you need to upgrade. This step assumes you are upgrading. If you are building a new system, you can skip to the next step. It may be possible to install your new processor without removing your motherboard, but this often can’t be done. 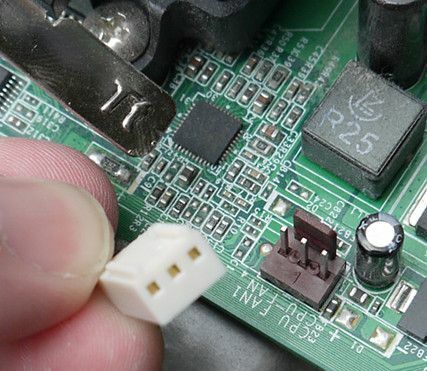 To remove your motherboard, turn off your computer’s power supply and unplug it from your wall socket. Move your computer to a level working space and grab a Phillips head screwdriver as well as some masking tape. Open your computer. You will note that there are a lot of wires connected to your motherboard. You’ll need to disconnect them all. Do this one at a time and, each time you disconnect a wire, wrap masking tape around it and label it. If you want to further clarify matters, you can draw a diagram of your motherboard and indicate where each labeled wire should physically connect. This may sound silly, but it’ll save you a world of trouble if you forget where a wire goes. After removing all wires, unscrew the motherboard from the case and pull it out. This shouldn’t require much effort – if it does, check to make sure you haven’t missed a screw and that nothing is obstructing the board. Once the motherboard is removed, you should also remove the cooler from the processor. Different colors use different attachment mechanisms, but most are removed either by turning some pins, opening a latch or removing some screws. Important Note: The photos below show an AMD socket AM2 processor. 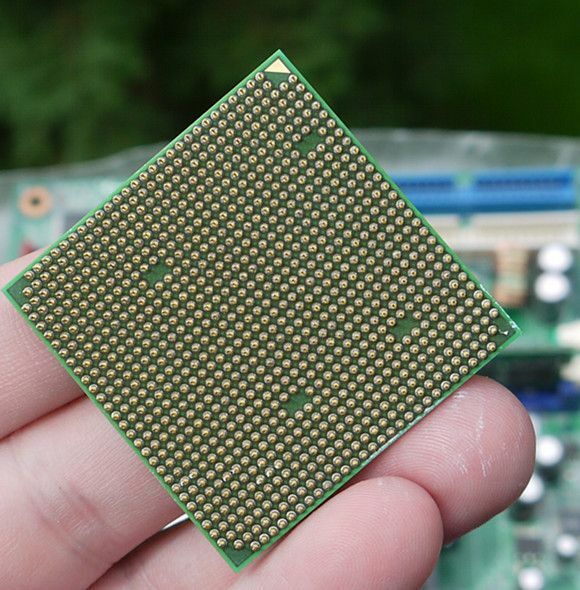 Modern Intel processors do not have pins on them – instead, the pins are on the motherboard. This does not change the instructions below, but the exact appearance of the processor and motherboard socket will differ. Now the processor socket is visible. If you are upgrading, your old CPU will be there. 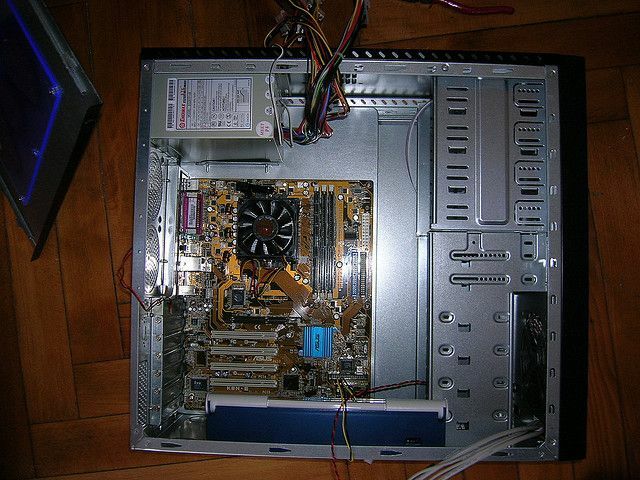 If you are installing into a new motherboard, there may be a plastic shield or place-holder. In either case, open the socket by lifting the metal bar or bars beside it. This will loosen the attachment mechanism. 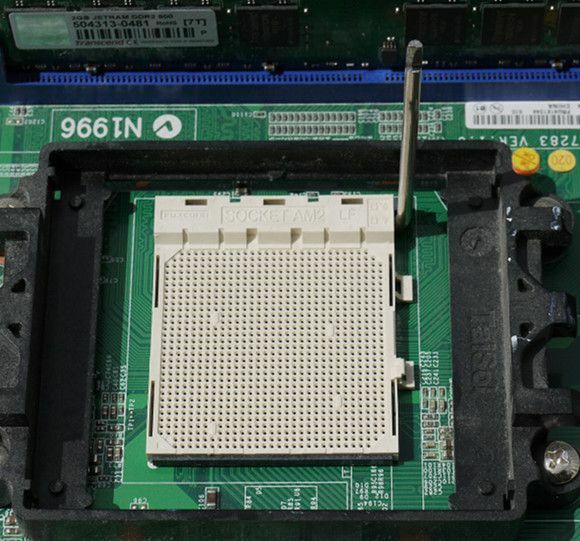 Intel sockets usually have an additional metal guard that must be flipped up and out of the way. AMD sockets usually don’t. Now remove the old processor (if one is there) and place the new one. 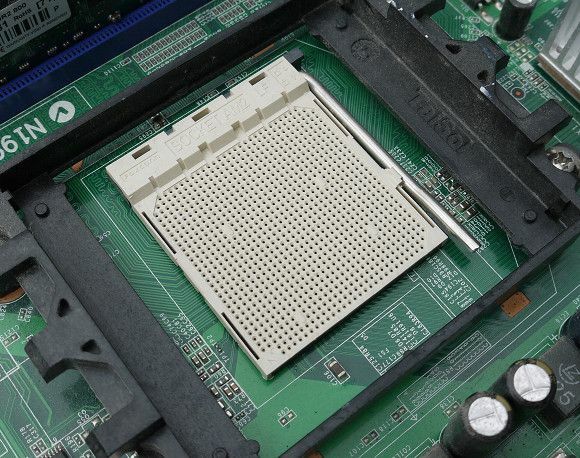 If you examine the socket and the processor, you will notice a pattern that is the same on both or a little notch or knob that lines up with the motherboard sockets. This prevents you from installing the processor in the wrong direction. The picture below, for example, shows four blank areas on the bottom of the processor that lack pins. These same areas can be found on the motherboard socket in the picture above. You should be able to just drop the new processor into the socket – if it doesn’t lay flat you haven’t lined it up with the socket properly. It is EXTREMELY IMPORTANT that you install the processor correctly. Trying to force it into the socket when it’s not lined up will just bend a pin. That’s one of the few ways you can permanently ruin a motherboard or processor during installation. Notice how the processor is resting flat in the socket. There are no gaps and any side. This is how your processor should look if it is properly installed. Once you’re sure the processor is seated you can lower the metal bar that secures it. Do this gently, but firmly. It is normal for the bar to provide resistance as you lower it. It should click into place and lie flat. If you removed an old processor you will notice that your cooling solution has some residual thermal compound on it. Wipe this off with a sturdy cloth that doesn’t have a habit of leaving behind lint, then give the cooler a blast of compressed air, just to be sure. 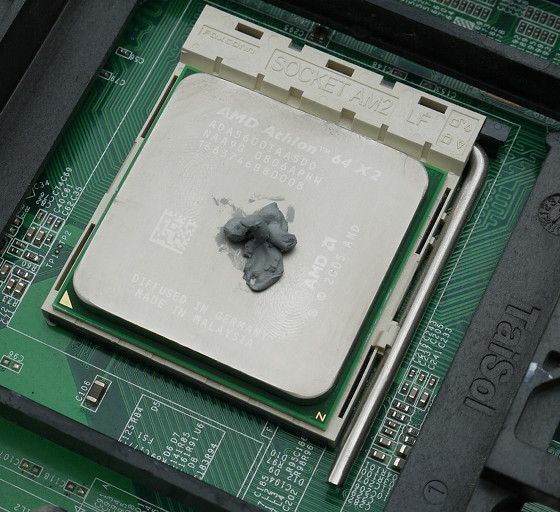 Now apply a blot of thermal compound to the center of the processor. The amount you apply should be about the diameter of a pencil and will hopefully look a bit nicer than my example above (the thermal compound I have on hand is apparently a bit old). It won’t look like much, but it will spread out nicely after you have attached the cooler. More is not better – the example above is as large as you need to go, and that’s only because the compound pictured isn’t the best. Thermal compound of better quality can be applied in smaller amounts because it will spread better when you install the cooler. Speaking of which, do that now. As I said earlier, I can’t tell you the exact steps because they vary significantly between different coolers. Refer to the cooler’s manual. Once the cooler is installed take a look around the edges to ensure that no thermal compound has been ejected out of the sides. If you do see this, remove the compound with a dry rag (you may need to remove the cooler). Once again, give the area a spray of compressed air to banish any lint. 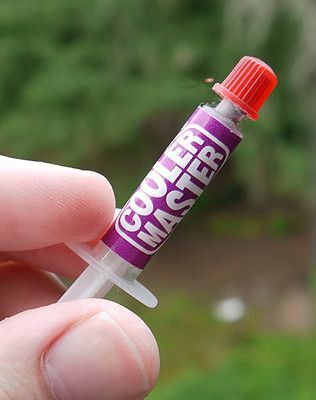 Now attach the cooler’s CPU power cord to the appropriate pin on the motherboard. Most are three-pin but you may also see four pins. The fourth pin is for a fan speed management feature called Pulse-Width Modulation. 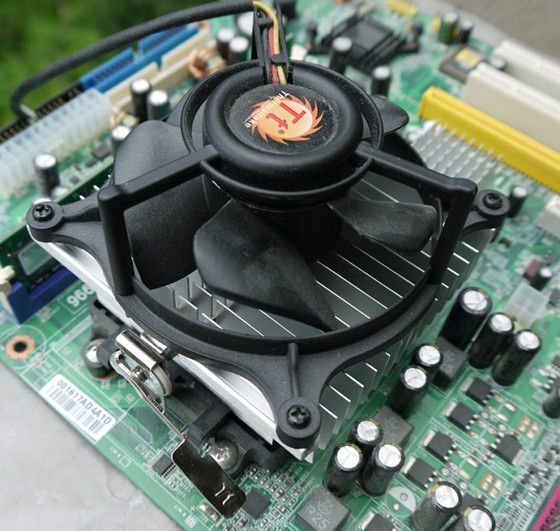 Don’t worry if your fan and motherboard don’t have the same number of pins. Just make sure the pins line up correctly – refer to this Intel guide for more information. Now that you’ve installed the processor you just need to re-install the motherboard. Screw it back into the case and re-attach all the wires that you removed. Hopefully you followed my earlier advice and labeled them. Now plug your computer back in and turn the power supply back on. If everything went well, your computer should boot without any trouble. You do not need to install drivers to make a processor work (and we already covered the BIOS upgrade). If you run into trouble, or have advice, leave a comment. You can also seek help by visiting MakeUseOf Answers.